Located in the very heart of Singapore's business district, and smack right in the bustling atmosphere of Orchard Road shopping belt, the vibrant and alfresco Crossroads Cafe dishes out a selection of decadent gourmet burgers available from 1 March till 30 April 2018 that will delight all burger connoisseurs and foodies alike. Heralded for its wide array of signature delicacies, premium wines by the glass and draft beers on tap, Crossroads Cafe truly brings the East-meets-West cafe concept to life. 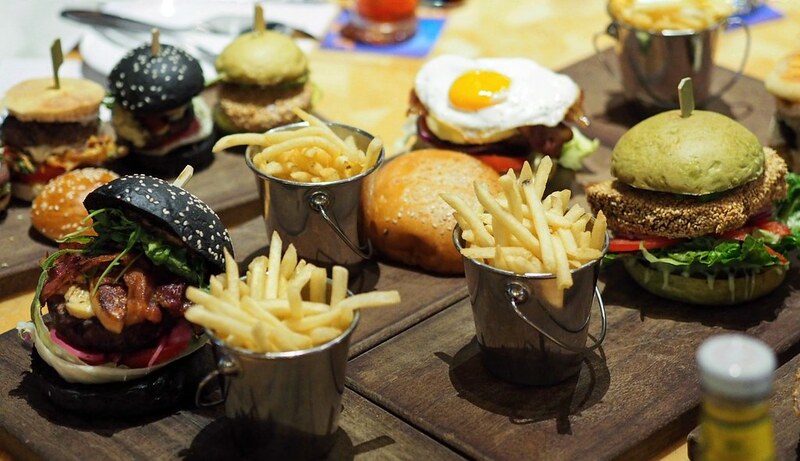 Guests can expect to relish in a menu of tantalising signatures with four novel lip-smacking gourmet burgers - The Primetime, Aussie Burger, Lamb Burger and Healthy Tuna Burger, each accompanied by pillowy soft buns and crispy french fries. 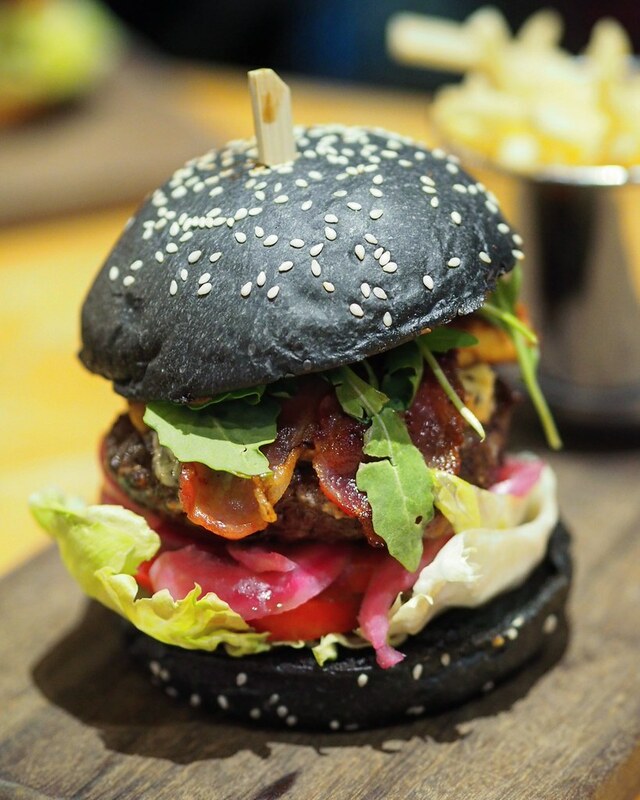 The Primetime ($38) features a delightfully decadent tower of thick, juicy Wagyu Beef Patty, smoky Bacon, Stilton Cheese, moreish Black Garlic Aioli, crunchy Pickled Onion and Arugula, creamy Foie Gras and Charcoal Buns. 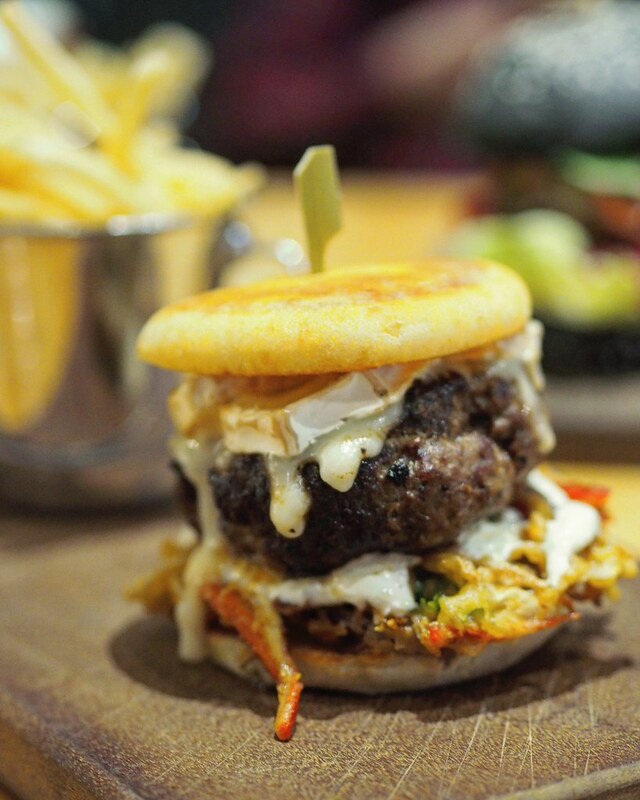 The thick juicy slab of foie gras and succulent, well-seasoned wagyu beef patty, together with an assortment of other ingredients in between perfectly fluffy buns delivers an explosion of flavours and textures in each bite that just hits all the right spots. 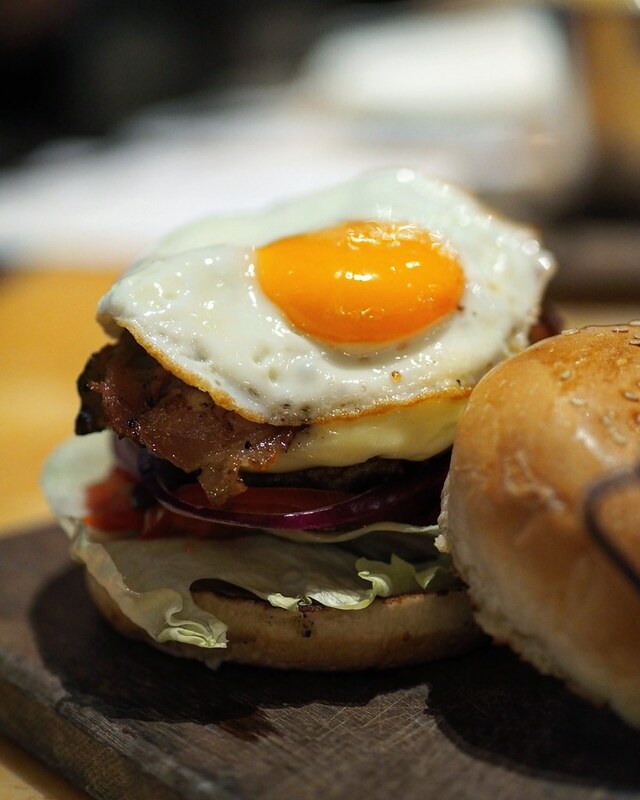 The Aussie Burger ($32) comes in a generous Black Angus Beef Patty, teamed with melted Cheddar Cheese, Bacon, Fried Egg, Lettuce, Tomato, Onion, Beetroot, all in between soft Sesame Buns. While the black angus beef is tender and well-seasoned, the addition of the beetroot slice contributes a refreshing twist to the burger with a subtle sweetness. All the components of this burger come together perfectly and make for a satisfying meal. For meat-lovers seeking a change from the typical beef burger, the Lamb Burger ($32) is the perfect answer. It marries a lusciously tender Lamb Patty with Goat Cheese, Mango Chutney, Vegetable Bhaji and Tzatziki Sauce. Not only is the lamb patty well-executed, the piquant ingredients gel together to give this burger a new identity that differentiates from most others. 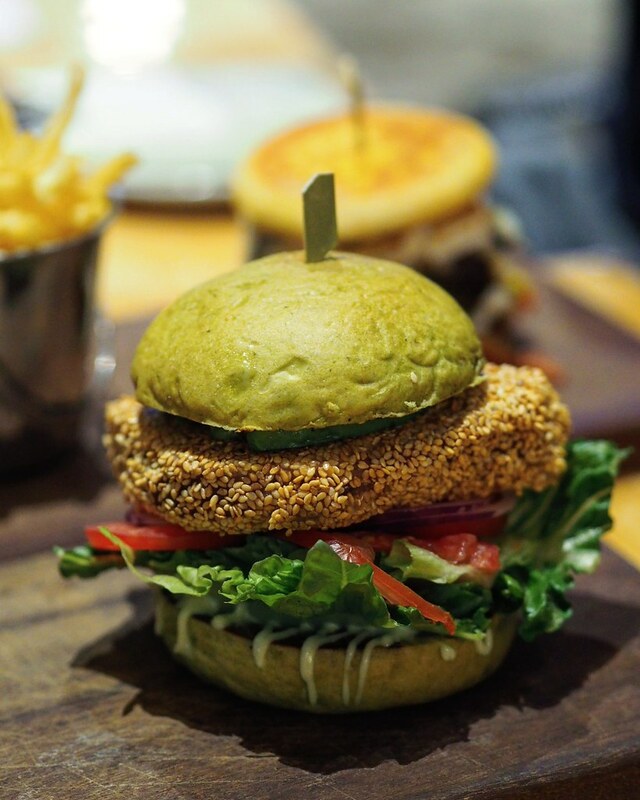 The burger experience can be guilt-free with the Healthy Tuna Burger ($33), that tempts with a tender Sesame Tuna Steak Patty sandwiched between airy Avocado Buns, together with Onion, Tomato, Romaine Lettuce, Guacamole and Wasabi Mayo. As a healthier burger alternative, the tuna patty fared less satisfying as its tuna patty boasts a drier texture lacking in the juiciness. However, it comes slathered with guacamole and wasabi mayo to bring a flavour uplift to the entire burger. While not as satisfying as compared to its counterparts, the Healthy Tuna Burger is perfect for the health-conscious burger fiends. Although the pricing may sit on the higher end but in terms of quality and taste, Crossroads Cafe has done extremely well for its lip-smacking gourmet burgers. It is definitely one of the best places to satisfy all your burger cravings. Note: The 4 lip-smacking gourmet burgers are only available from 1 March to 30 April 2018.